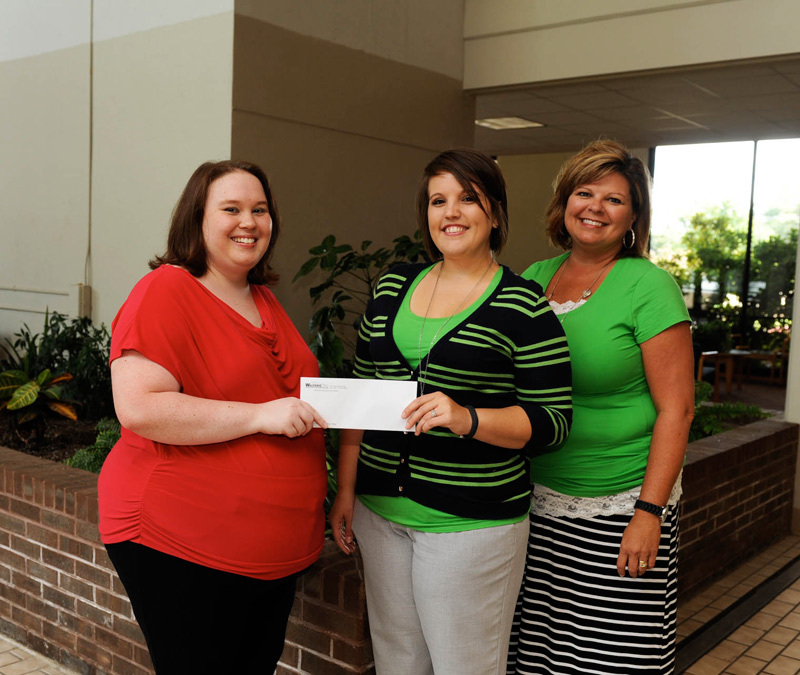 Rachael Meek, secretary 2 in the Division of Health Programs, received the 2013 Walters State Support Staff Council Book Scholarship. The scholarship is funded by various activities of Support Staff Council throughout the year. From left are Meek of Morristown; Andrea Isenberg of Bean Station, information processing specialist/technical analyst and president of the Walters State Support Staff Council; and Tammy Wells of Morristown, information processing specialist and vice president of the Council.